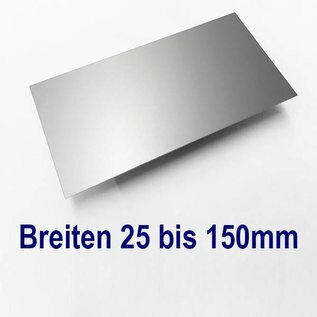 Sheet metal blanks available in various widths and thicknesses. All dimensions given are external dimensions! Also larger quantities are available, please inquire with us.